This entry was posted on Friday, January 25th, 2019 at 10:34 am. 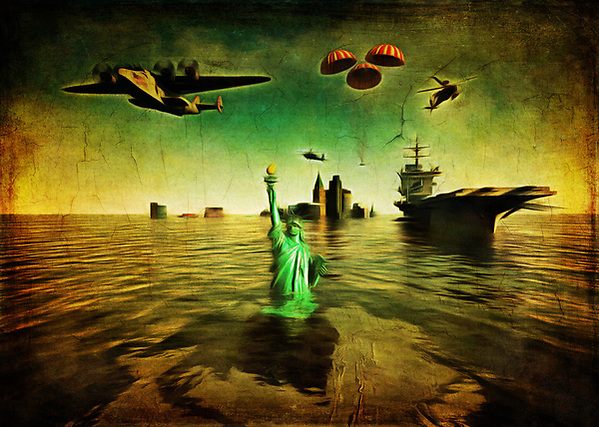 It is filed under Conceptual, Environment, Featured, HOMEPAGE MAIN PICTURES, New Images and tagged with air, aircraft carrier, airplane, America, American, capsule, climate, climate change, helicopter, Manhattan, New York, sea, space, space capsule, statue of liberty, USA. You can follow any responses to this entry through the RSS 2.0 feed.